to dry facial hair. Style as desired. 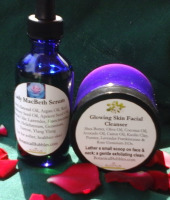 Organic Oils of Argan, Avocado, and Jojoba, with essential oils of Lemongrass, Tea Tree, Bergamot, and Orange. Place 5-10 drops in hands and massage into clean, damp beard. Organic Oils of Argan, Avocado, Coconut, and Shea Butter, Beeswax, with essential oils of Lemongrass, Cedarwood, Rosemary, and Frankincense. Apply to face prior to shaving and allow a couple of minutes to penetrate. 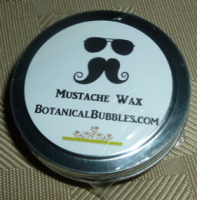 This helps prevent razor burn and leaves your skin feeling super moisturized. Sweet Almond Oil, Argan Oil, Red Raspeberry Seed Oil, and Carrot Seed Oil combine for a quickly penetrating, long lasting moisturizer. It has a blend of essential oils (Lavender, Francincense, Rose, Helichrysum, Geranium, Yarrow, Ylang Ylang) for the more mature skin. May help to even skin tone and lessen the appearance of fine lines. 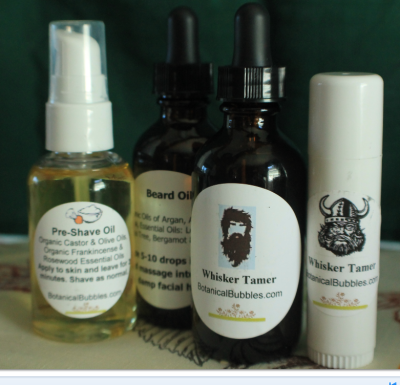 PreShave Oil Apply to legs or under arms prior to shaving and allow a couple of minutes to penetrate. 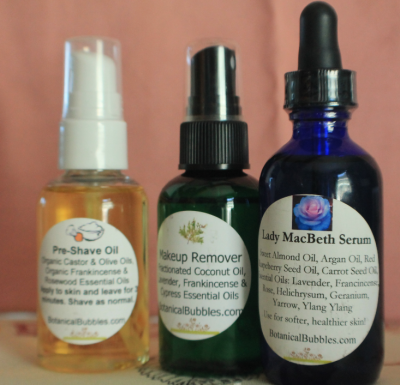 This helps prevent razor burn and leaves your skin feeling super moisturized. A blend of odor absorbing Clay and Botanical Powders work with pure Essential Oils to keep you smelling fresh. 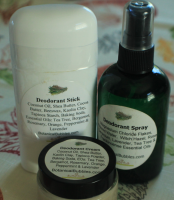 It is unlike any other natural deodorant. Shea Butter, Olive Oil, Coconut Oil, Avocado Oil, Castor Oil, Kaolin Clay, and Red Australian Clay, Ground Pumice, Lavender Frankincense and Rose Geranium essential oils. 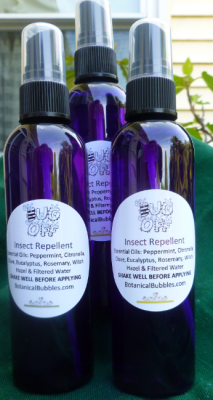 Safe for kids and dogs (Do not use on Cats) this plant based spray uses the power of mint and catnip combined with essential oils that bugs can't tolerate to keep you bite free! Laundry Butter replaces detergent in your washing machine. It is so concentrated that 1 tablespoon cleans an entire load. Compatible with High Effeciency washers - just put it in with your clothes. 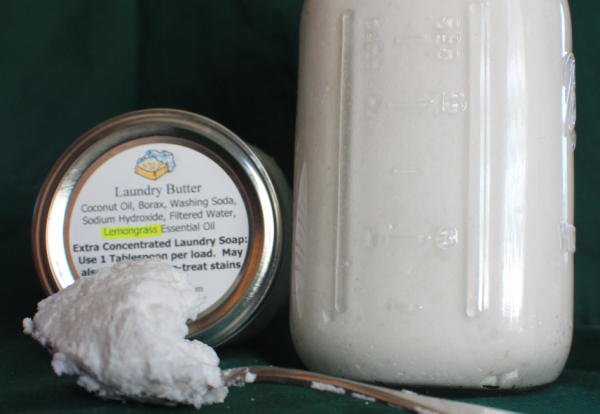 Laundry Butter is made from 100% coconut oil soap bars that are shredded and melted with water, washing soda, and borax. Great as a pretreatment or try the stain stick (not pictured, but comes in 2.25 oz applicator) for stubborn stains. 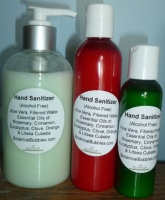 Aloe based, this hand sanitizer kills germs with the power of pure Essential Oils. Smells great and won't dry your hands. 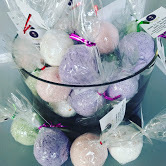 Drop these fizzy bombs to your bath water to add scent and soothing salts.